Jump to | Overview | What are HIDs | The P1 WMM | PWM in the P1 CEM | PWM and HIDs | DRL and HID | PWM and Error Eliminators | The KBOWE | EMI and WMM | Other Options | Ok, Just tell me what to do! 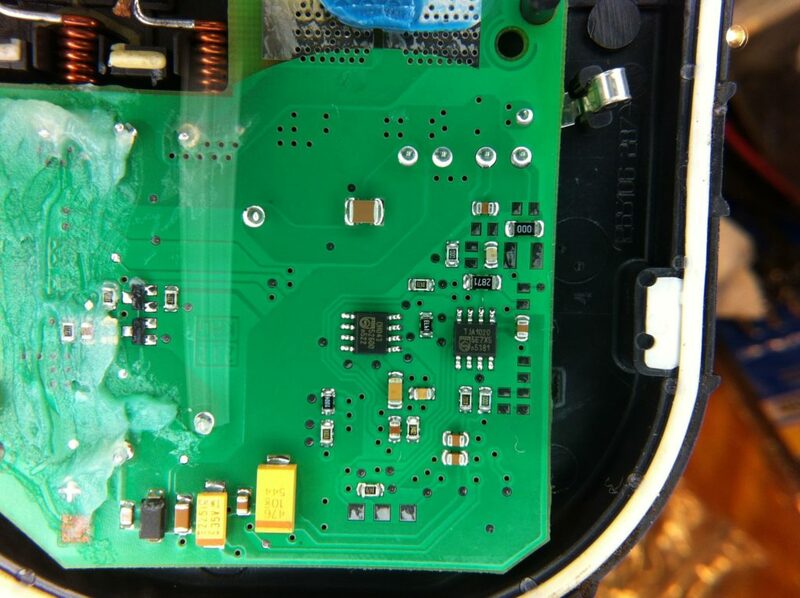 WARNING: Do NOT attempt to operate an aftermarket HID kit in a Volvo P1 S40 / V50 / C30 / C70 without a SKBOWE-style Error Eliminator before reading and understanding the issue(s) described below. While a kit may turn on, the PWM voltage regulation will drastically shorten the life of the HIDs, and can potentially damage the Windshield Wiper Motor Module (WMM) and/or the Central Electronic Module(CEM), both of which cost several hundred dollars to replace at the dealer. Owners of Volvo P1 (C30, S40, V50, C70N) vehicles with halogen projector low-beam headlights know that the factory lights are abysmal, if not dangerously dim. A popular solution is to install an aftermarket HID retrofit kit, which drastically improves night-time visibility and safety. However, incorrectly installed retrofits can wreak havoc with these highly modularized and electrically finicky vehicles. This page describes the specific electrical issues with Volvo P1 halogen-to-HID conversions, in an attempt to condense 10 years of research and development 1 into a cohesive reference document. This discussion is NOT relevant to other Volvo models – P1 vehicles with factory equipped bi-xenon headlights, the older P2 (S60, V70), or the newer P3 XC60 and XC90 SUVs – all which have an unrelated lighting electrical system. It is NOT relevant to other makes: As a Volvo owner for 15+ years, I have no experience with your non-Volvo and am not going to speculate. Headlights are specialized equipment: the HID conversion process is complex, potentially illegal, and risks damaging the vehicle. While this risk can be greatly reduced by following the guidance below, there is no completely safe HID retrofit for P1 cars (or any car). Note that the SKBOWE Harness is designed specifically to address the problems unique to the P1 platform as described here. This is optional reading – If you want to know why this expensive harness with a strange acronym is required, and other harness/eliminator won’t work, read on! 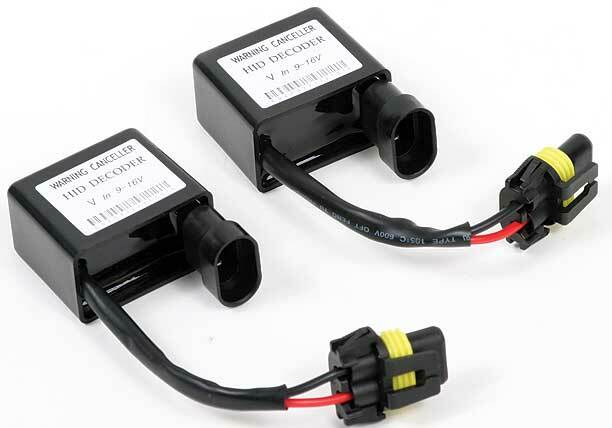 As with many modern vehicles, aftermarket HID ballasts will not function correctly when directly connected to factory wiring in Volvo P1 chassis vehicles originally equipped with halogen (incandescent) projector headlights. 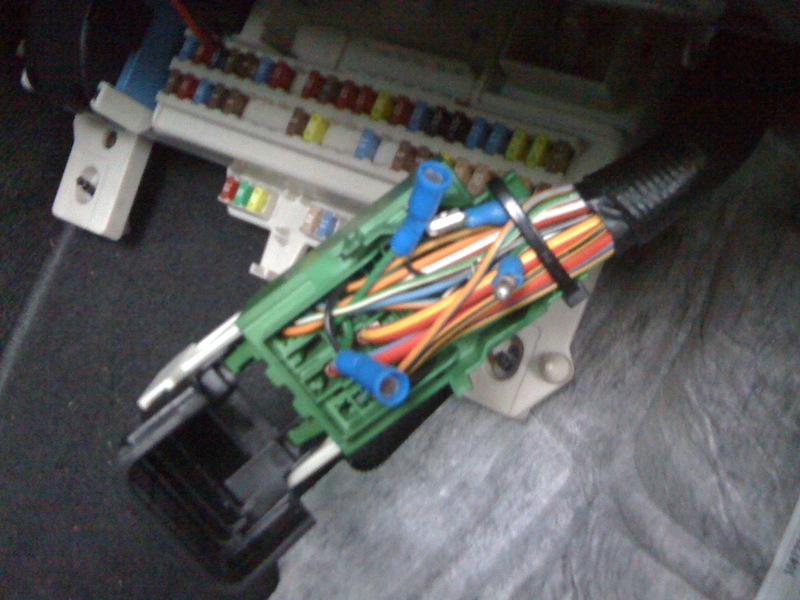 However, the typical “error cancelers” or “canbus harness” – sold by major HID vendors as a generic solution to similar issues in other makes/models – are not appropriate for P1 cars due to their unique electrical system. Specifically, the each halogen low-beam/DRL combo bulb is directly wired to the CEM (Central Electronic Module), which houses two independent fuseless 2 current-monitored high-side MOS-switched open-loop 82 Hz PWM-voltage-regulated circuits. When an under-current condition is detected in either circuit – less than 2.0A – the CEM signals a “Bulb Failure Low Beam” message (aka bulb-out warning, or BOW) to appear on the DIM (driver information module aka gauge cluster LCD) with a yellow triangle. See the CEM Teardown page for more detailed information. In the sections that follow, we explore the cause and effect of these problems as the relate to the P1 electrical system. 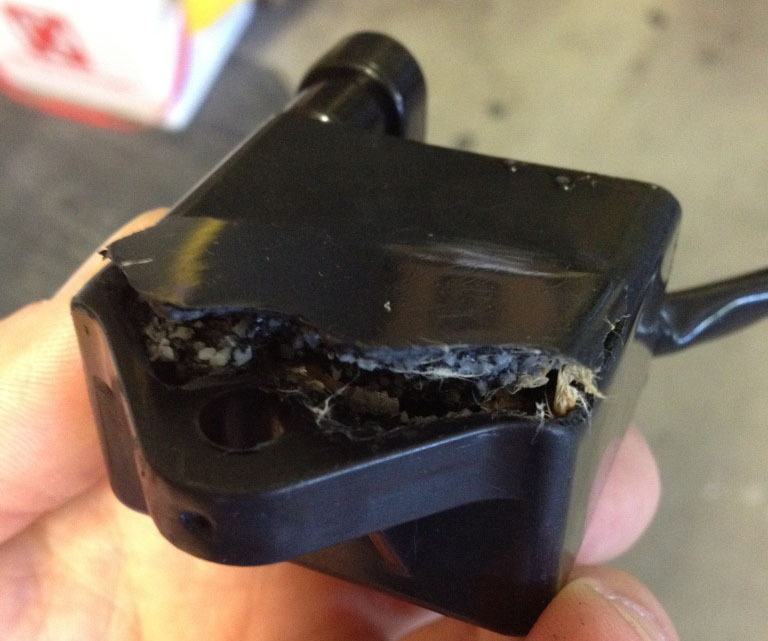 We run into problems during an HID retrofit because of the HID ballast. What does the ballast do? I’m glad you asked! The ballast is responsible for ignition, warmup, and maintenance of the arc within the high-pressure High Intensity Discharge (HID) lamp. The HID bulb is a type of arc lamp which means there is no filament, but instead two tungsten contacts within a quartz envelope filled with xenon gas and a small amount of mercury and metal halides. 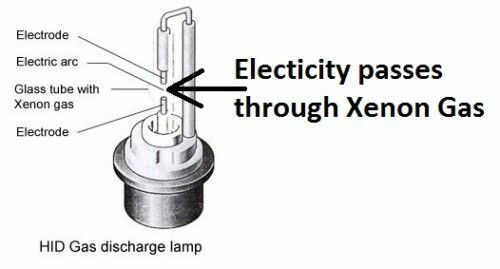 When it is cold, the xenon is an insulator so the bulb is basically an open circuit – pretty useless for lighting. You could hook 12V up to the bulb and nothing would happen. Emission spectrum of a xenon arc lamp. Next, the liquid mercury and metal halides in the bulb must be vaporized. An arc through pure xenon is nearly invisible to us, with most of the light is in the UV and IR parts of the spectrum. But as the gas heats up, vaporizes the metals, and increases in pressure, light emission shifts into the visible range. High gas pressure causes the mercury and sodium emission bands to broaden somewhat, producing a light that nearly white (with some blue) to the human eye. To ensure that all the mercury and metal halide is vaporized, the ballast runs the bulb “hot” – meaning 2-4x its rated current, for a few seconds, then gradually reduces it until a stable steady-state operating condition is obtained. This startup process takes about 3 seconds in most digital ballasts, although older ballasts with analog feedback can take much longer (30 seconds or more). 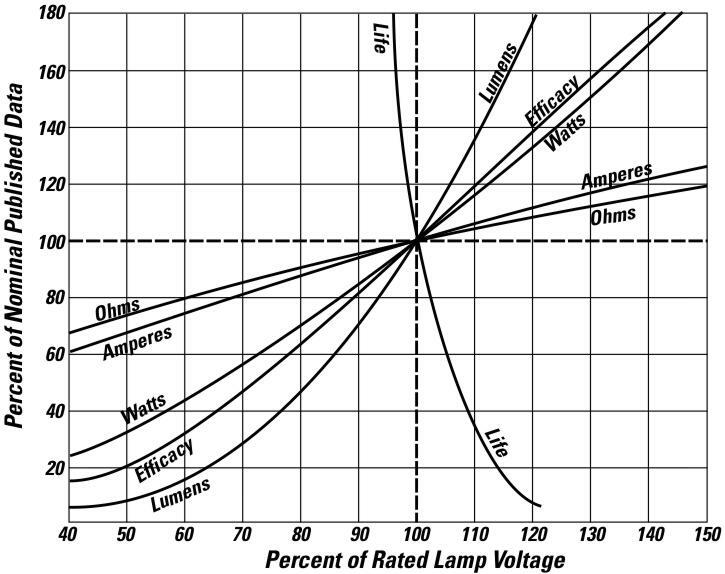 HIDs, like all metal halide (and mercury vapor) lamps, are negative resistance devices: the effective resistance (as in V/I slope) decreases as the current through the bulb increases. So the current flowing through an HID lamp connected directly to a constant-voltage source (like a battery) would increase until it destroys itself. That’s where the third (and principle) job of the ballast comes in. HID bulbs are rated for a specific current (normally around 300mA) that they can operate at without damage. To do this, they need a specialized form of control. The ballast controls the arc maintenance voltage to whatever level is required to keep this constant current flowing through the bulb – varying mostly between 18-36 VDC. To get to these voltages from the 12-14V DC provided by the car, ballasts use a switch-mode power supply (SMPS) which is controlled by analog or digital feedback (this is where the “digital” in “digital ballast” comes from), that switches around 100KHz, or more. By measuring the output current, it can switch on for longer or shorter to create the required voltage. The windshield wiper motor, or WMM (Wiper Motor Module) in Volvo’s terminology, is digitally controlled via a LIN signal from the CEM. The guts of a fried WMM. The LIN chip is on the reverse of this PCB, as shown below. 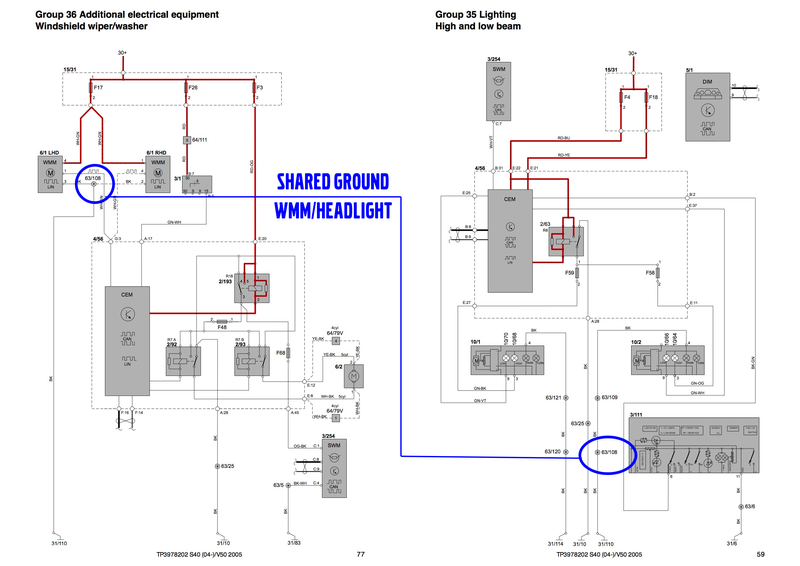 We run into retrofit problems in P1 cars because the right6 headlight assembly, including the H11 halogen connector that a retrofit ballasts plugs in to for power, shares a ground connection with the WMM. WMM Shared Ground Location on the right strut tower. We don’t want to connect anything to do with HIDs here! It’s the parasitic resistance between 63/108 and 31/110 which allows voltage to develop between the CEM ground and the WMM ground, potentially bringing the LIN bus voltage on pin 1 negative enough to forward bias the clamp diodes. Note that, similarly, the foglight ground is shared with the PSM (Power Steering Module, the electronic power steering pump) and some have had issues with “Power steering failure” DIM messages when running retrofit HID kits off the fog circuit. A badly behaved ballast (e.g. with a failing error harness or no harness at all) will introduce voltage spikes (also called transients) into the electrical system, which can cause communication problems and potentially permanent damage to the WMM, thanks to a poorly designed circuit within it. 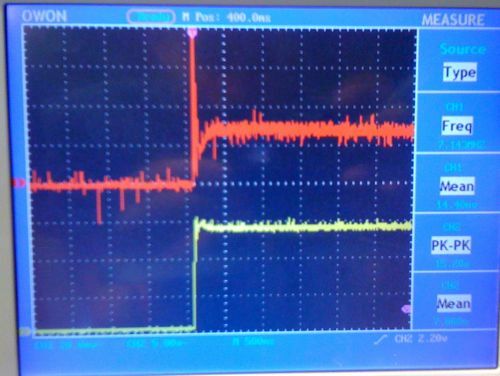 There is an (now obsolete) NXP TJA1020 LIN communication chip within WMM with insufficient external reverse voltage protection against transient voltage spikes, leaving it to rely on the relatively weak internal protection. 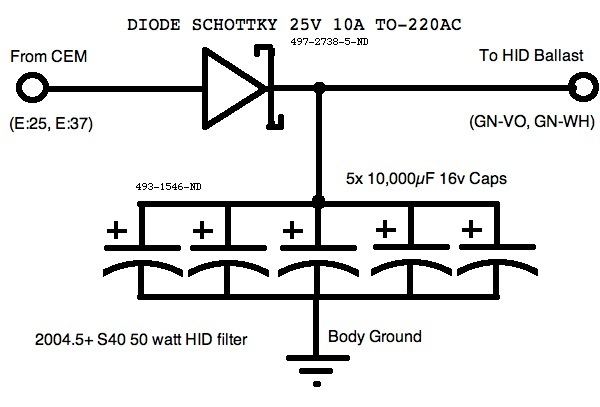 When the conditions line up – aging filter capacitors inside of the HID ballast, cold temperatures (makes ignition harder), or wet conditions (more leakage current make ignition harder), the transient can be strong enough to destroy the internal reverse voltage protection within the chip. The wipers behave erratically, and the WMM will need to be repaired or replaced. 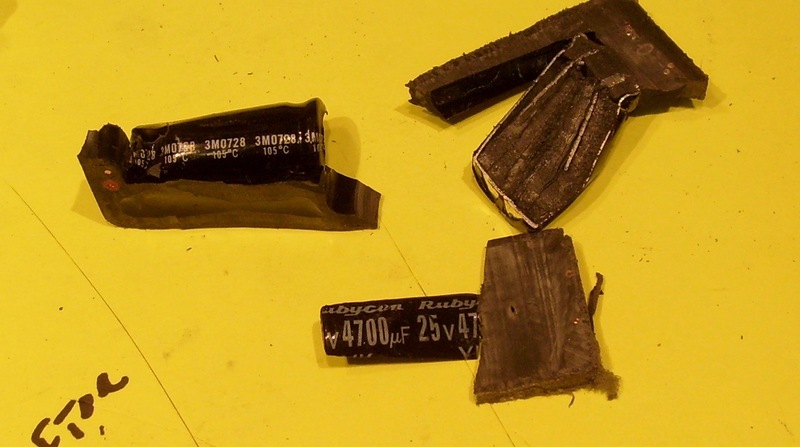 The best way to address this issue is to add a low-impedance ground connection for the HID ballasts (on both sides, to be safe) directly to the chassis. The SKBOWE does this using a 1/4″ (10AWG equivalent) braided copper ground strap that is bolted to the chassis near the wheel well. The HID ballast should ground pretty much anywhere except on that right strut tower, the shorter the connection the better. Use high quality #12 wire and avoid using the terminals on the right-side strut tower (opposite the battery). Take care to clean the contact area down to bare shiny metal – it is critical that this connection be low resistance. For additional protection, metal ballasts with grounded cases (not all are – check with multimeter first) should be physically bolted to the chassis after stripping paint around the screw holes (be sure to repaint after it’s installed!). The P1 CEM – aka the interior fuse box – is located beneath the glove box on the passenger side. It’s actually a complex computer system! PWM (Pulse Width Modulation) is an efficient method of voltage regulation, or stepping a high voltage down to a lower voltage. It works like like turning a switch connected to the battery on and off many times per second to achieve an average voltage. Snip from the Electrical Design Document regarding the PWM voltage regulation. Click image to access the whole document. So if the battery is at 14.5V, and the switch is “on” for 90% of the time (and thus off for 20% of the time) the “average” voltage is 13.0v. The on time is also called “duty cycle”. We can see this in various readouts in VIDA, the wiring diagram, and the electrical design document. VIDA showing normal PWM of low beam outputs, 80% with 14.5V input (new AGM battery). But why PWM for voltage regulation? Well, the alternative is using a linear regulator, but this is very inefficient – the difference is lost as heat (in this case, nearly 15 watts) that would need to be dissipated or cooled somehow. So instead, they use the PWM trick to create a 13.0 V average voltage without wasting any heat on/off (both states are 100% efficient, only loss is in the switching time). Oscilloscope display that plots PWM input (yellow trace) and average voltage output (red trace) versus time. Most people can’t see changes faster than 20 mS due to persistence of vision, even the most sensitive human eyes can barely notice a 60 Hz flicker in fluorescent lights. So if you turn the light on and off fast enough (aka PWM frequency) we humans can’t tell the difference vs a constant 13V. In most cases, PWM frequency is set between 1 kHz and 200 kHz, high enough to make EMI suppression components inexpensive or unnecessary (at 200kHz, the parasitic inductance of the wiring harness is often sufficient to suppress most noise) but not so high as to experience excessive switching loss (which increases with frequency). We may never know for sure why, but I suspect that Volvo chose the “fast enough” frequency to be that which science has shown no human can distinguish: 12.5 mS or 83 Hz, and no higher to reduce switching loss to the absolute minimum possible. In combination with the incandescent halogen bulb filament that maintains some heat during the “off” time, the end result is that we don’t notice at all. Fun fact: The CEM actually uses this same PWM regulation (both duty cycle and frequency) on *all* incandescent bulbs7 – from the running lights and brake lights to the overhead interior lights and the tiny bulb in the hazard flasher switch. That’s why they last so long! As one might imagine, the on-off-on-off pattern isn’t great for devices like HID ballasts that are designed to run off of DC (or even balanced AC) current. The next section explains why. Now that we have met the major players – the P1 CEM, the WMM ground path, and the HID ballast – let’s look at what happens when an HID ballast is operated without an error canceler or PWM filter. Normal ballast warmup trace, running on DC current. Amperage in red trace, Voltage is yellow trace. As described above, under normal conditions, every time an HID ballast powers up it first tries to strike an arc in the HID bulb. Next, it modulates warmup current, and finally it enters a steady-state current-feedback control loop. But what happens when the HID ballast is turned on and off over and over again (82 times per second) because it’s being fed a PWM signal from the CEM? What exactly happens at first strongly depends on the construction of the ballast. The worst case is when the ballast has good internal filtering and a separate digital supply like the Pro Tuning Lab 35W kit. This sort of ballast will fool you into thinking it’s working by soft warm-starting each cycle – rather than repeating the ignition event. As long as the filtering remains intact, there will be significantly increased current draw and and occasional ignition failures, but the kit will work. The increased current (and corresponding increased operating temperatures) will cause pre-mature failure in the filtering circuitry, which will degenerate into the second case. 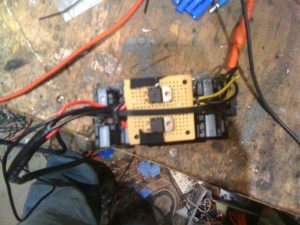 Older generation digital ballasts, and old school analog ballasts, without decent input filtering will fire the ignition circuitry lightly on every cycle (hard warm restart). Sometimes you get flicker; sometimes it seems to work fine. 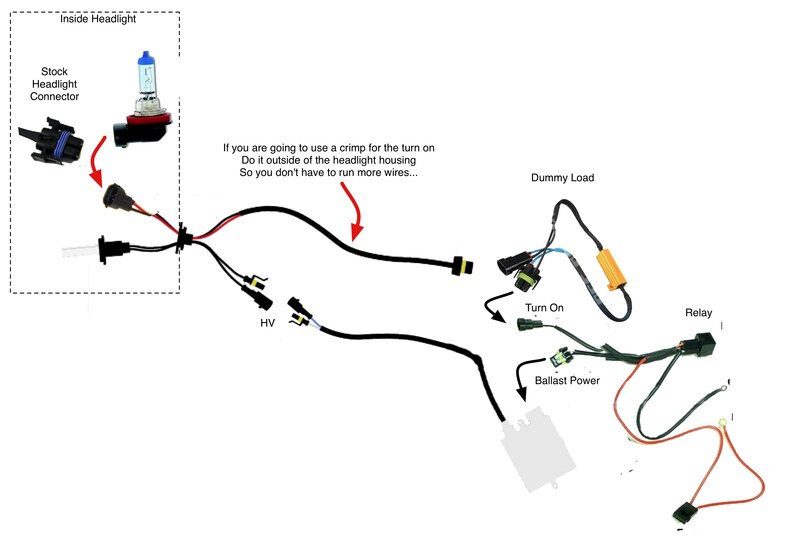 But internally, the ballast is very confused, and is firing the ignitor circuit over and over, rather than running the bulb at constant current. This will draw significant current, and may result in the CEM killing the headlight output (no DIM message, just a stored DTC) because it thinks there is a short in the wiring. Otherwise, there will be many more spikes directed towards the WMM, meaning it is much more likely to fry. A newer generation digital ballast without adequate input filtering will try to ignite over and over, waiting only long enough to re-charge the ignition capacitor before trying again. 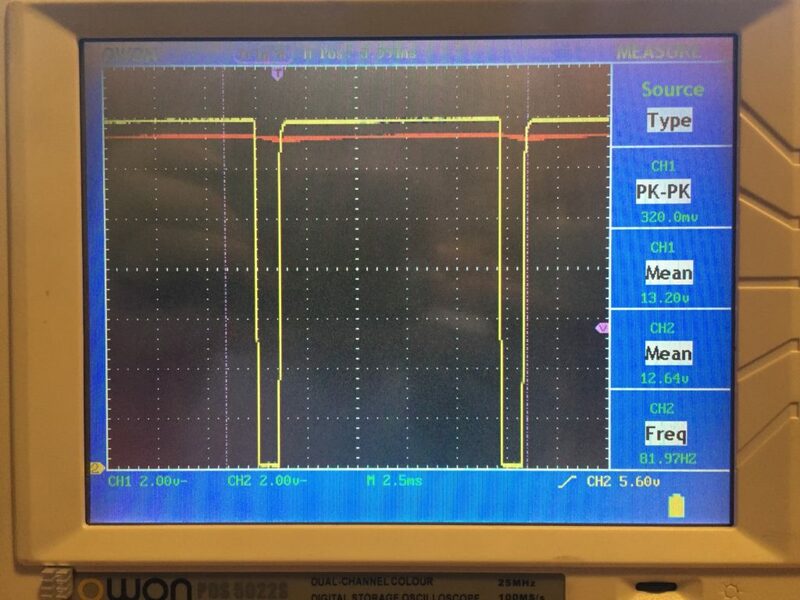 This may look like a flicker or a regular flashing, like what happens in the test bench YouTube video of the HID-50 kit running on straight PWM. I’d say this is the next-best case because it’s immediately obvious that there’s a problem. While there have been some cases where the WMM failed as soon as the kit was installed and powered on, hopefully you stop it/remove the kit/Google for SKBOWE quick enough before the WMM is damaged. The best case is that it doesn’t work at all – if the ballast has a decent input filter and a newish generation control chip, it try to ignite but then recognize that there’s a problem and cut out until it’s restarted. You’ll see the “bulb failure” message because the ballast isn’t drawing any current. Because it’s not trying to re-ignite the bulb, the chance that this sort of ballast will destroy the WMM is fairly low. An older electrical system (alternator and battery) won’t be running at a full 14.5V, and it’s this voltage that determines the PWM duty cycle. So ironically, the worse shape your electrical system is in, the higher the normal duty cycle. At 13.8V, the ~90-95%+ duty cycle will allow some ballasts and/or undersized error eliminators to operate without visible issues – at least temporarily. Ballasts that do run initially due to supplemental input filtering will have the same issues as undersized error eliminators as explained below – the filter circuit experiences AC ripple currents 2-4x the component ratings, which causes excessive internal heating within the electrolytic capacitor(s) in the filter circuit, leading to electrolyte loss, performance degradation, and eventual self-destruction. If your headlights shut off in Position 0, or if you have separate light housings (sometimes LED in C30) mounted below the headlights that come on automatically during the day, your car does not have the 50% duty-cycle PWM issues described here. 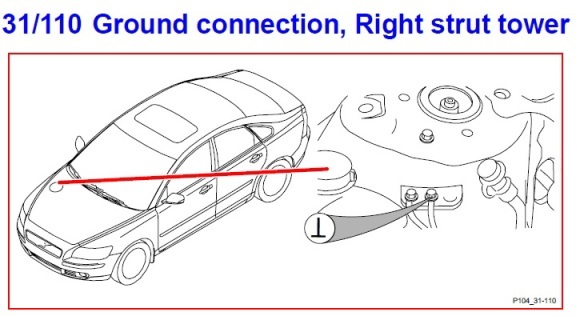 This section only applies to P1 vehicles that run the halogen H11/H7 low-beam projector at a lower power during the daytime when the LSM is in position 0; technically software pn 30679689 “low beam on in all light switch positions except parking light position”, but commonly referred to as “DRL” in the US. Note that this functionality is different than the “DRL” in discussed in VIDA, which are in the foglight position and run off of the foglight relay. In addition to the 13.0V PWM regulation (which is always active), most cars in the US have the DRL program active in the CEM. 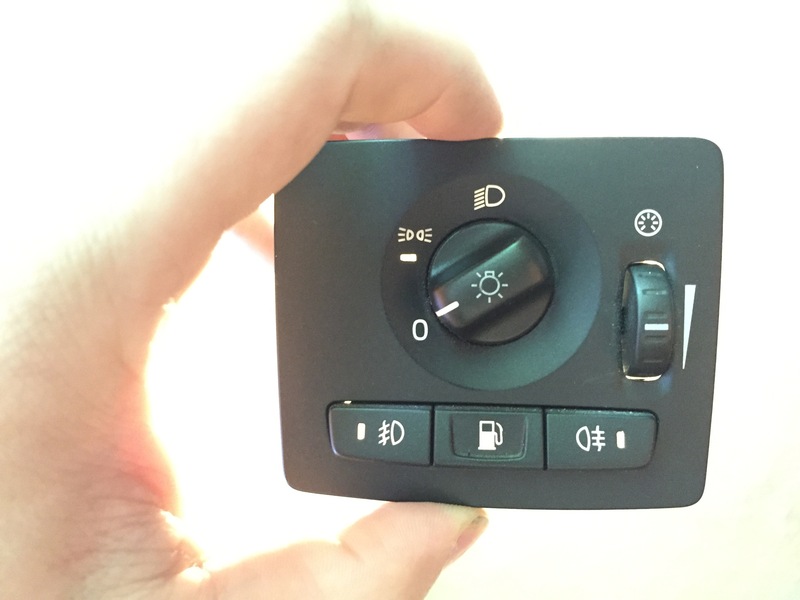 If installed, the program activates when two conditions are met: (1) when the twilight sensor is illuminated enough to think it is day time, and (2) when the headlight switch is in the “0” (or off) position. Normally, the CEM follows a duty-cycle map to average 13.0V at the output, but with the DRL program active the PWM duty cycle for the low-beam headlights is set to produce 9V (a 50-60% duty cycle). This very much extends the life of the halogen bulbs – more than 10 times actually. But for an HID ballast, this is a nightmare! The PWM situation is much worse with the DRL program active, because the power is “off” up to 50% of the time. Most ballasts have at least some power supply filtration (if only to reduce the nasty kickback from ignition), and some can run off of 90% duty cycle PWM, but nothing designed for DC input can survive a 50% duty cycle at 82 Hz. This is where the strange (flickering, total failure) behavior is *always* apparent. 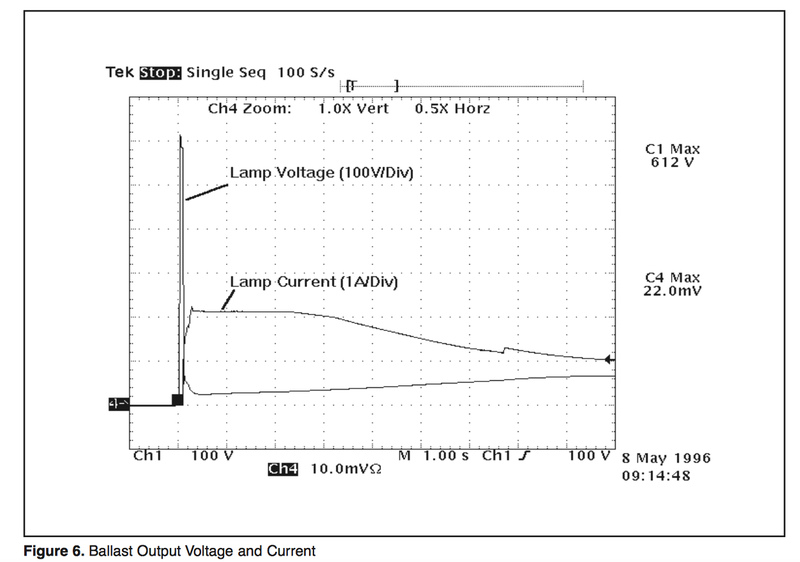 Even if 50% PWM could be filtered out (the SKBOWE can technically do so), there is another problem – HIDs draw a constant current of around 4A for 50W ballasts. 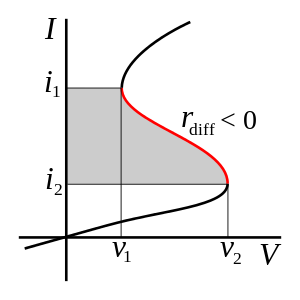 If the power is only on for 1/2 of the time, during the “on” period the filter must draw 2x the current (8A) – with the peak being slightly higher. The CEM has a 7.5A fuse on the headlight outputs, and a soft cut-out below that, so running in DRL mode risks triggering a short-circuit fault or half-blowing a fuse. So with any P1 HID retrofit it is critical to avoid the DRL program – at a minimum, you should leave the LSM in position “II” (“ON”) at all times. If you (or another driver) might forget, you can do the new “DRL Disarm” Mod (for free!) so that the CEM thinks Position 0 is actually Position II. Alternately, you can pay to disable the DRLs completely. It is perfectly legal to disable your DRLs in the US, and Volvo has a software package that allows you to do so: Software part number 30679690 for all P1 vehicles. You can get this done at a dealership, or if you have a DiCE, do it yourself for ~$75 for a 3-day subscription to volvotechinfo.com. The solution to allowing a ballast to run on a PWM signal is to smooth, or filter, it into a steady voltage. In Electrical Engineering terms, we want to bypass the AC component of the PWM current to ground, and pass only the DC component, minimizing voltage ripple. There are two passive components 8 to do this: inductors in series to resist changes to the current flowing through them, and capacitors in parallel to pass the AC component to ground but leave the DC component alone. Inductors or chokes inserted in series with the supply line are great at filtering out high-frequency (100kHz to RF) PWM, but the size, weight, and cost of an inductor drastically increases at lower frequencies. For an inductor to reduce ripple of the 82Hz PWM signal to a manageable level, it would weight several pounds, occupy about 1/4 cubic foot of volume (6″ square), and cost an arm and a leg! The windings would add significant voltage drop, and depending on the CEM ADC read time it might be detected as an open-circuit. Overall, inductors are totally impractical at the P1 CEM PWM frequency. Capacitors added in the bypass configuration store energy while the PWM switch is “on” and release it when the switch is “off”, or in the frequency domain, pass the AC signal to ground while leaving the DC component alone. The bigger the capacitor(s), the more energy can be stored, and the longer the switch can be “off” without a significant drop in voltage. Reverse engineered schematic for the DDM BOW3, showing the inductive T-Filter design. I don’t have a VNA to test the physical unit (plus it was destroyed) but from SPICE simulation it looks like the BOW3 T-Filter has a pole (i.e. where the inductor and capacitor resonate and the filter is most effective) around 1kHz. Since it’s first order, there’s 20dB/d rolloff so it is moderately effective from about 100Hz to about 10kHz. This is great if you are in the 99% of cars that use sensible PWM frequencies. Not great if you have 82Hz PWM like the Volvo P1 CEM! At such low frequencies, the effect from the inductor becomes negligible (except for adding additional resistance) the small capacitor can’t keep the output voltage stable. The end effect is something like 2.5V ripple. This is better than 13V ripple for sure, and it will allow some ballasts to run (not all), but it is the AC ripple current that is the real issue. Simulation of the DDM BOW3 running at 80% duty cycle, showing the nasty 2.5V ripple and 6.5A ripple current (peak = 9A). 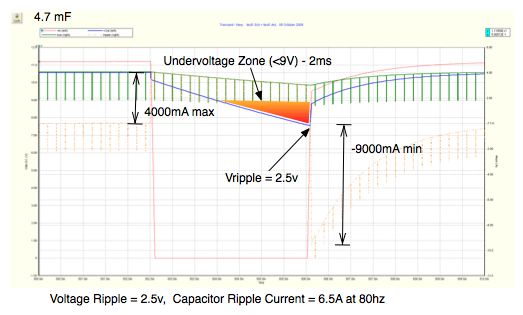 In addition, there is an extremely high ripple current through the capacitor, something like 6.5A, where it is rated only for 1.5A or 2A of ripple. This in turn results in the capacitor overheating, and eventually but inevitably, failing. 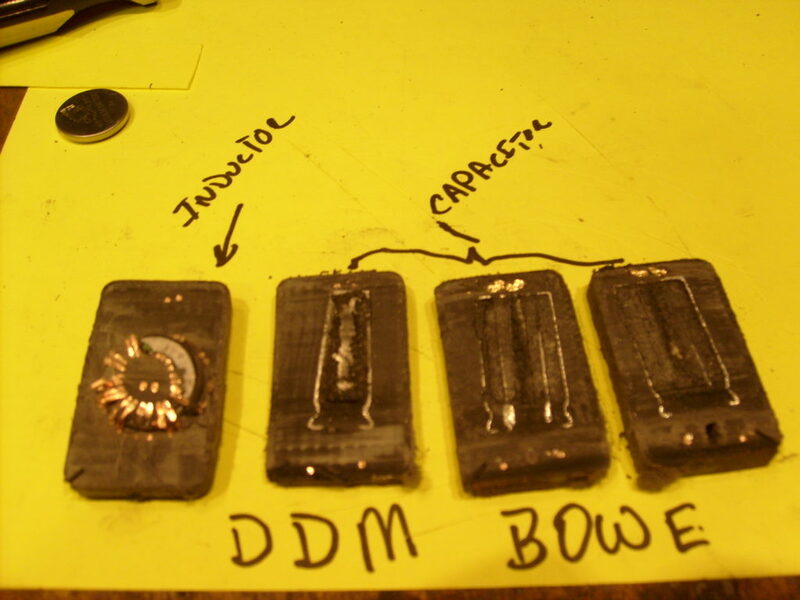 Failed DDM BOW3 due to capacitor overheating, caused by excessive AC ripple current from low-frequency PWM. None of these designs will reduce ripple enough for long-term (years) ballast operation. If they do work initially with some particular ballast, the 4A+ AC ripple currents far exceed the capacitors’ ripple rating, and will inevitably result in premature failure. Capacitors can fail “open” or “closed” circuit. A closed (or short) circuit failure is the safest, and will trigger a CEM fault code and shut down the lighting circuit. The majority of failures are open circuit, which leaves you with no protection whatsoever (basically, the error eliminator becomes a straight-through wire). Then you are back at square one, as if you hadn’t installed them at all. Usually, this happens at the worst time possible – like on a dark, rainy night. In 2009 I set out to attack the PWM issue for my 2005 S40 (T5 AWD M66 :), knowing only a fraction of the information outlined above. Based on a few quick measurements, my solution was to go for enough capacitors to guarantee safely handling the AC ripple current and minimizing the voltage ripple. This pre-KBOWE prototype has all of the essential features of the modern SKBOWE: A diode to stop positive over voltage/kick and a ground lug for a low-impedance connection10. There were two of these circuits located above the CEM (inside of the car) – which required splicing into the CEM harness. Original Pre-KBOWE circuit – Two of these were co-located above the CEM and hardwired into the harness. I built this prototype and installed it in my car in 2009, and while it is not the prettiest thing in the world, it has been running perfectly ever since. Original JBOWE (KBOWE) Prototype, assembled and tested. 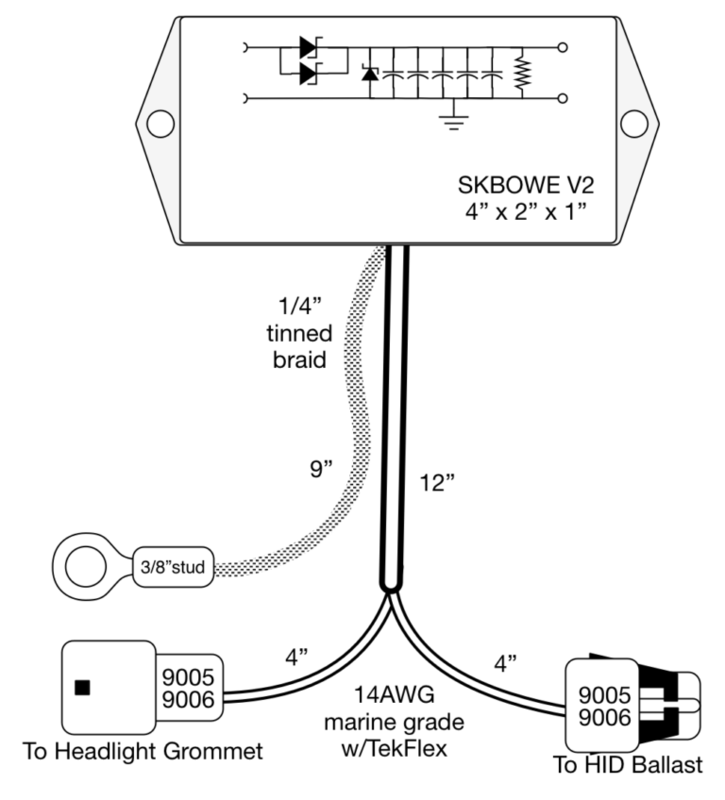 Here is the CEM Splice required for the original KBOWE – Isn’t it nice that the SKBOWE is plug-and-play? Shortly after, plans for how to build a less ghetto version were drafted on the SwedeSpeed forum, of which the first was built for SwedeSpeed member Kyle (ForceFed), which for lack of better nomenclature became known a “KBOWE”. The KBOWE consists of a large bypass capacitor and a diode, situated between the CEM and the HID ballast. Over the years, a dozen people have built their own KBOWE and installed and used them with success; There are more than 100 car-years of operation with the original KBOWE that I know about, probably many more that I don’t! 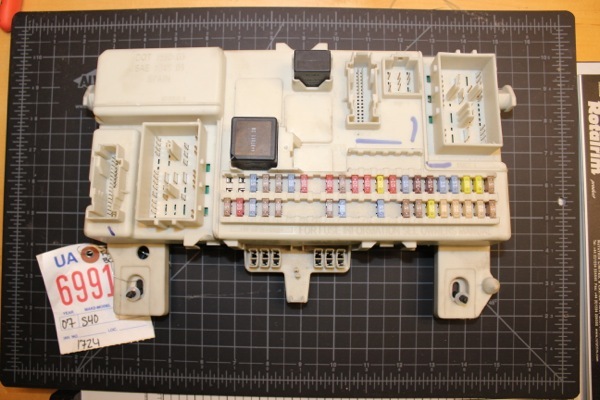 The original KBOWE from the DIY guide, assembled and ready to be spliced into the CEM harness. It is highly DIY without exact directions, so you really need some electronics experience and equipment to build it. It’s a non-reversable installation – you have to cut your CEM wires to install it. Using bullet connectors you can go back to stock, but the spices will always be there. The installation is difficult and error-prone, as it’s in an awkward position and the wire colors have changed between various models and years. The original recommendation of 22MF probably leaves insufficient safety margin. 33MF or 40MF are better options, but it’s difficult to find a single capacitor of a reasonable size and cost with this sort of rating. After trying unsuccessfully for nearly 6 months to have this new design produced by an existing company, I decided to build some myself. And that’s the story of the SKBOWE! EMI gets thrown around now and then by HID vendors, particularly those primarily targeting Audi vehicles because they also tend to suffer wiper motor issues with HID retrofits. This is the least-well defined issue with P1 cars, and while it has been discussed at length (e.g. here and here and here) with widely varying opinions, so far there is no concrete evidence to support the theory: In general, older/less expensive ballasts have poor shielding on the HV ignitor and wires, essentially turning the system into a radio transmitter which can cause electromagnetic interference (EMI or RFI) with other electronics in the vehicle. Usually this just results in FM radio noise, but in some other makes vehicles (with no relation to the P1 electrical system) insufficient shielding has been shown to affect computer modules (including the wiper motor) due to the increased EMI levels from ignition circuitry. I have seen no credible evidence that radiating EMI/RFI has any effect whatsoever on the P1 WMM. The wire lengths involved are just too short and the frequency too low for any significant energy to be radiated! There is no harm in shielding for EMI – but in my opinion it is <strong>not</strong> the primary or even a contributing cause of WMM issues on the P1 platform. Best practice – regardless of vehicle – is to select high-quality retrofit components including shielded on HV circuits (between the ignitor and the bulb). The D1S configuration (bulb-integrated ignitor) used in the factory bi-xenon setup offers the best EMI shielding possible, but may be difficult to retrofit in the halogen housing. Some manufactures produce D2S on-bulb ignitor, shielded external D2S ignitor, and rebased shielded ballast kits. Alternately, a less expensive kit can be shielded by wrapping copper or aluminum foil around the HV leads to form a faraday cage and grounding it to the chassis. Although this site is dedicated to the SKBOWE, there are other options for upgrading low-beam lighting in the P1 vehicles, but (in my opinion) they all come with significant compromises. Downsides to this conversion include: (1) the additional heat can degrade the thin aluminum coating on the ellipsoidal reflector and cause premature yellowing of the headlight lens, and (2) the 60% increase in brightness means a 60% decrease in lifespan – DRLs will help during the day, but if you do a lot of night driving this means changing bulbs twice as often. Note that the factory bi-xenon headlamp assembly can be retrofitted to a halogen car. The connectors are the same and the pinouts are pretty close, though you loose the the auto-leveling and road-following functionality. You’ll still need a SKBOWE, so you are basically paying for a second set of headlights with a 35W ballast and a mediocre D1S projector. You will almost certainly get better results with a E46 (even replica) swap. Another option for aftermarket HIDs is going with a high-quality (12 AWG) relay harness solves issues (1) and (2) below – the relay harness bypasses the PWM modulation produced by the CEM, so no filtering is necessary, although a small (2200uF or so) “anti-buzz” capacitor may be required on the relay. When using a relay harness, do not skimp on the ground, go all the way to the left side strut (nearest the battery). The main downside to the basic relay harness setup is that you will always have a bulb-out warning (“Bulb Failure Low Beam”) message on the DIM with a yellow triangle. 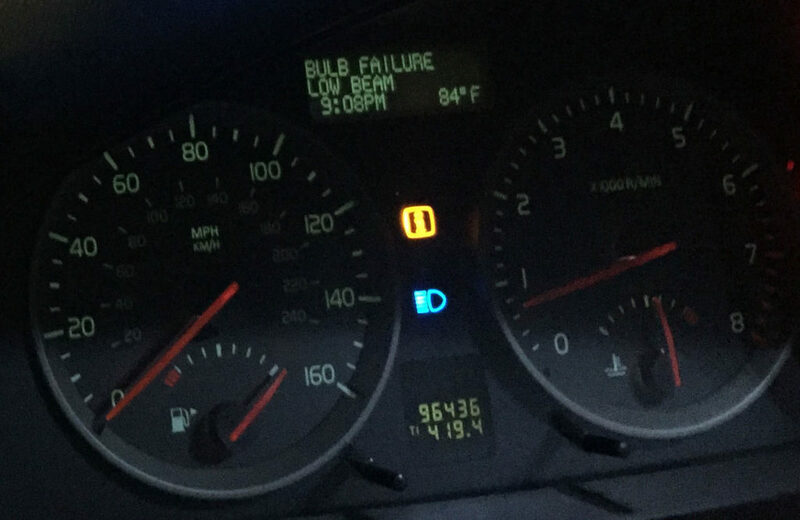 The “BULB FAILURE LOW BEAM” bulb-out warning (BOW) when there isn’t enough load on the headlight circuit. If you want to use a relay harness, but don’t want the bulb failure message, you’ll have to present a load to the CEM. 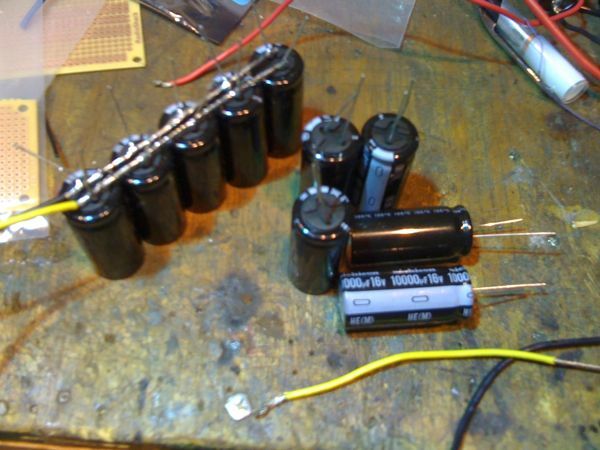 You can do this with 50W / 5-ohm load resistors load resistors (which waste 50w/side as heat! ), or by running the low beam wires down to the fog lights, which will then always be on when the HIDs are on. 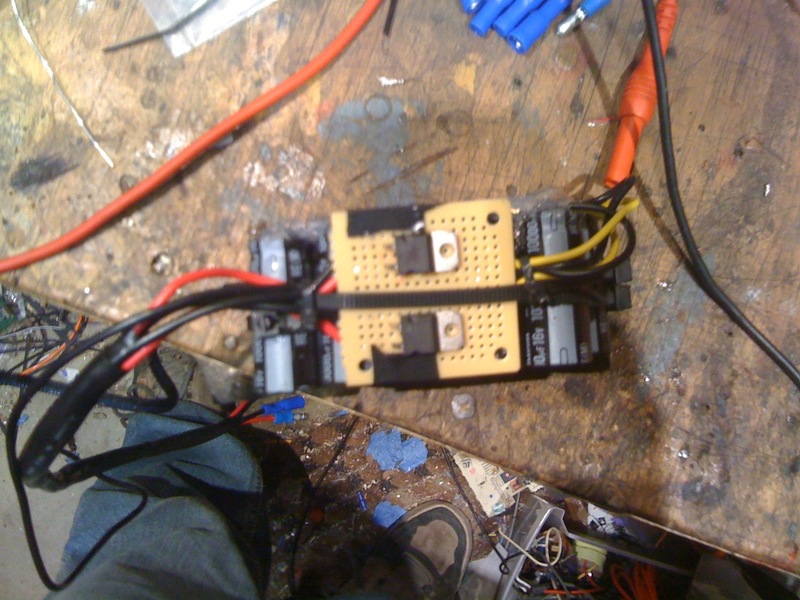 Relay harness with load resistors. A minimum of 5 ohms, 50W resistor is required. While load resistors will disable the the bulb failure message, they also prevent any sort of feedback that an HID is out – removing a very useful feature. Only a direct PWM filter like the SKBOWE can both eliminate the error and maintain bulb failure detection functionality. These days there are many vendors selling “LED Retrofits” with high power LEDs mounted to heatsinks that are shaped to fit the H11 (or whatever) bulb socket. *I DO NOT RECOMMEND USING AN LED INSIDE A HALOGEN OR HID ELLIPSOIDAL REFLECTOR HEADLIGHT*. Don’t get me wrong, I love LEDs – I’ve been playing with high powered LEDs since before they were cool. I wrote the LED conversion guide for P1 cars. But there are very good reasons not to use them in your headlights! While there is less danger to the WMM without the high voltage ignitor circuitry, real (20W+) LED supplies will fail almost as quickly as HID supplies running on PWM, especially DRL PWM. Less than 20W will not be remotely enough light. Many folks report that it works, but it’s really flickering at 80Hz – I have yet to see a LED supply rated for 60 or 80Hz. Power supply aside, the next issue is cooling. Heat is the bane of the LEDs existence. All semiconductors (including LEDs) cut their lifespan in half for every 10°c increase in temperature, so drive current must be reduced to prevent thermal run-away. In the sealed headlight assembly, the LEDs are just baking themselves to death. The passive cooling designs won’t have enough airflow, and are typically less bright, while the active (fan) cooled designs have moving parts to fail. Not much difference been a regular oven and a convection oven – they’re both hot! Third, and most importantly, for the same reason that HIDs are sub-optimal in halogen reflectors (including the ellipsoidal reflectors in our projectors), the angular emission profile of high powered LEDs are fundamentally incompatible with reflector systems designed for linear glass-tube lamps. Yes, beautiful pure white light comes out of the front of the projector and ends up on the road. But the throw – the actual visibility at a distance – is determined exclusively by the light glowing in the focal point of that ellipsoidal reflector hitting the shield and focusing through the lens. Only a small fraction of the LED’s phosphor can be in the focal point; the rest of the light is directed in much-less-useful directions (usually, very close to the car). This can make the result look impressive from the driver seat, but in reality, any light falling on pavement for the first 20 feet is completely wasted light. There is a very good reason that cars with original equipment LED headlights have funny-looking “spider eyes” optics – the monolithic large-diameter projector is the worst possible design for an array (=2 or more) large surface area emitters. The right optics for LEDs are much more efficient, using a lens-per-emitter, and focus each lens separately to where it is needed. Such lights are designed with efficient external cooling fins exposed to cool air flow, have thermal management integrated into the control circuitry, and have independent current controls to ensure the rest of the LEDs keep working should one fail. I’ve got nothing against doing LED conversions for aesthetics (fogs, etc), but please do not retrofit LEDs into a halogen projector. If there was a way to do it right, I wouldn’t be spending all this time to help you do HIDs! OK, I get it, just tell me what to do! 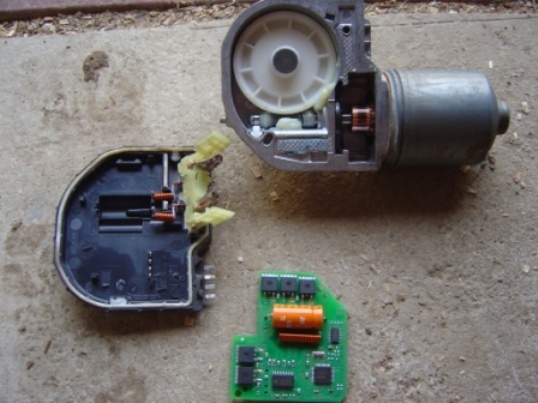 If you are ready to do an HID retrofit in your P1 Volvo, head over to the HID retrofit guide. 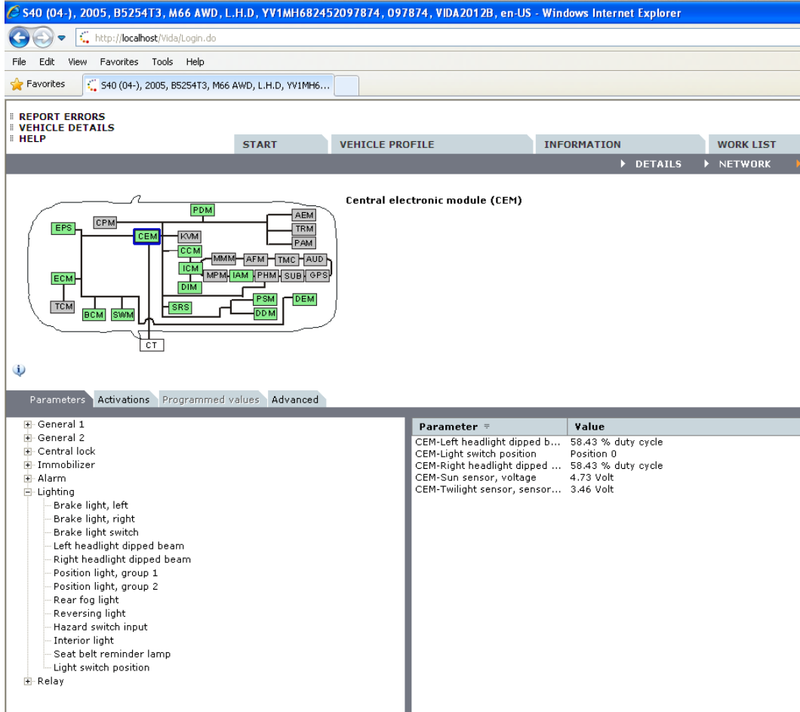 The information summarized here is based on the S40/V50 electrical design document (section on headlights starts on page 21), the factory wiring diagram – group 35 (page 59), the CEM overview, design, and function pages from ViDA confirmed with hardware teardown, and 10+ years of community research (in this thread, also here, here, and various international forums). Although there are 7.5A fuses for each low-beam, the Infineon BTS443P 25A Smart Highside Power Switch has a current-monitoring output that feeds into an ADC in the CEM, which in 99% of circumstances will not allow the fuse to blow. WMM and CEM failures are all over the net on many different forums, for example see WMM and CEM. The exact breakdown voltage can be estimated precisely using Paschen’s law, given the ionization potential for Xe. See Wikipedia for a good description on arc discharge mechanics. The CDI system creates a large positive voltage on the bulb side, but also a smaller spike on the supply side from the ignition kickback – this is important as we will see later. The supply spike varies depending on the quality of ballast and it’s internal filtering; I have seen everywhere from -12V to -600V come from a ballast during ignition. The only bulbs that do not have PWM are the fog lights (if equipped, connected directly to the battery through a relay in the CEM). The door mirror lights (turn indicators and puddle lights) are PWM regulated by the DDM and PDM (Driver and Passenger Door Modules) rather than the CEM at a different frequency, which is why the puddle lights flicker when converted to LED! Although I hate this term because it is so blatantly inaccurate: There is no such thing as “CANBUS” – there is the CAN which is a type of bus, but neither thing has anything to do with the function of the filter. 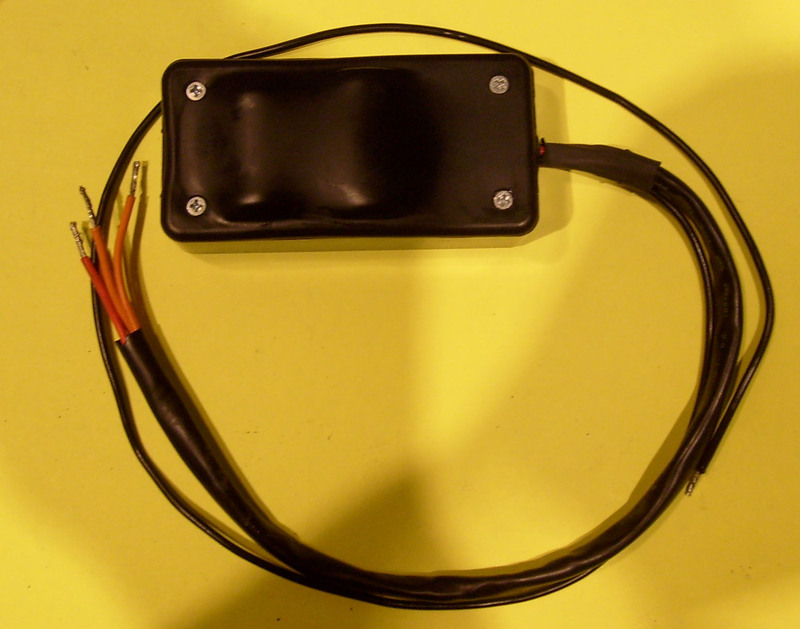 The harness does not connect to a CAN_H/CAN_L signal wires. I think this terminology entered use with poorly translated Chinese product advertisements, trying to say something like “for cars with CAN bus connected vehicle modules” because PWM voltage regulation emerged around the same time as electrical system voltages were increased and stabilized to operate the many CAN interconnected modules without glitches. The “harness” part probably originated with it being billed as an alternative to a relay harness (which is a real thing). What a misnomer! In truth, I was very lucky with the supplemental ground, this was before the WMM shared-ground-point issue had been conclusively identified. I had trouble getting it to work without it, and it made sense from an impedance standpoint. The decision probably saved my WMM!